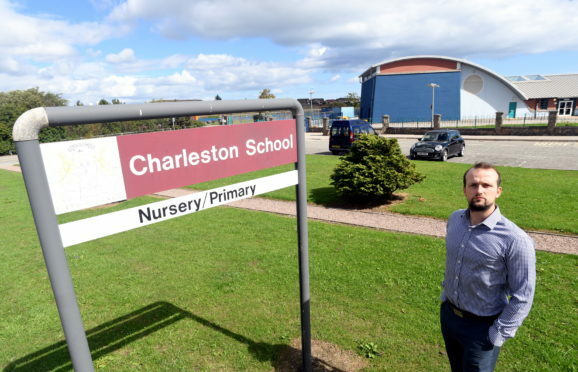 Councillor Stephen Flynn at Charleston Primary School where signs of the use of legal highs were found in the playground. Picture by Kami Thomson. Community leaders have slammed the “completely selfish” louts, who left discarded drug paraphernalia in the playground of a city school. Worried residents revealed yesterday they have regularly had to call the police following suspicious activity in the grounds of Charleston Primary in Cove. After the youngsters left the scene, parents said they discovered evidence of substance abuse with discarded cigarette packets and small bags thought to have contained so-called “legal highs” thrown on the ground and in bushes. One even reported that some had been picked up by her two-year-old daughter while she was playing. Ward councillor Stephen Flynn said: “I’m so annoyed and frustrated that people think this sort of behaviour is anywhere near acceptable. “Parents should not have to worry about their children stumbling across such things in what is meant to be a safe place for their children to play. 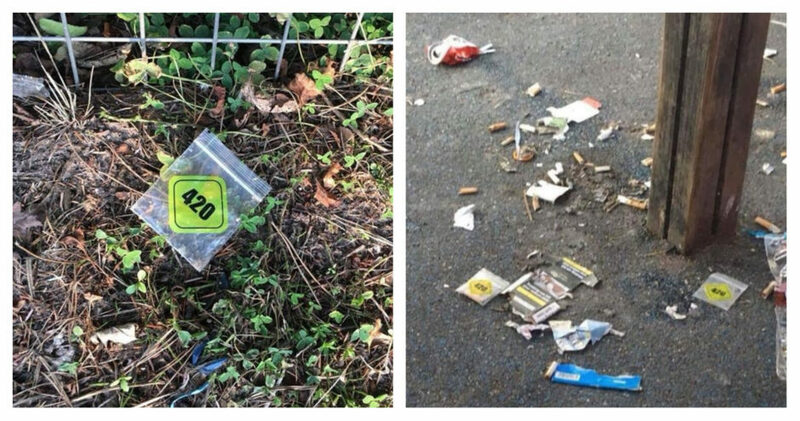 Illegal high packaging was left strewn about the playground of Charleston Primary. A police spokeswoman confirmed that officers were sent to the school after receiving a report from a concerned member of the public. While they acknowledged the discovery of the drug paraphernalia, they said this did not constitute concrete proof that any substance abuse had taken place. The city council confirmed that staff had been sent to the scene to clear up. Cove and Altens Community Council chairwoman Michele McPartlin said: “We are concerned and saddened by these developments. She urged anyone with knowledge of the incidents to report those involved to the authorities.